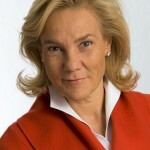 Europe’s Female Angel Investor of the year | Business Angels Netzwerk Deutschland e.V. The angel investment ecosystem has been on a steady rise throughout Europe since the 1990s. However, women entrepreneurs acting as business angels still seem to be somewhat underrepresented. 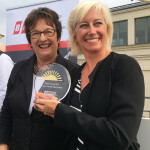 In 2017, Business Angels Netzwerk Deutschland e.V. (BAND) decided to put an end to that and shed light on the important contributions of Female Angels to the economy by awarding the first-ever European Female Angel of the Year with the Golden Aurora Award. Any active female angel investor with a permanent residence in Europe is eligible to be nominated. The winner of the Golden Aurora is expected to serve as an ambassador for Female Angels in Europe since it is a clear objective of BAND to motivate more women to become angel investors. In Roman mythology, Aurora opens the gates of the sky to allow the sun to rise. Female Angels also open gates for their start-ups that may result in golden opportunities. Also, the award is able to shed light on the contributions of Female Angels like Aurora sheds light every dawn.